The Big Horn has all the features you will need to enjoy your campout even when the conditions are extreme. It was designed and built to last and protect you from all the weather you encounter. Even if your weather conditions are mild, you'll still be able to enjoy the added features the Big Horn provides. Included in the Big Horn are extra tall center heights allow you to stand up. Wall dividers to create two rooms. The 150D oxford floor, which is about twice the weight of normal nylon floor material, will greatly increase the durability of your tent. 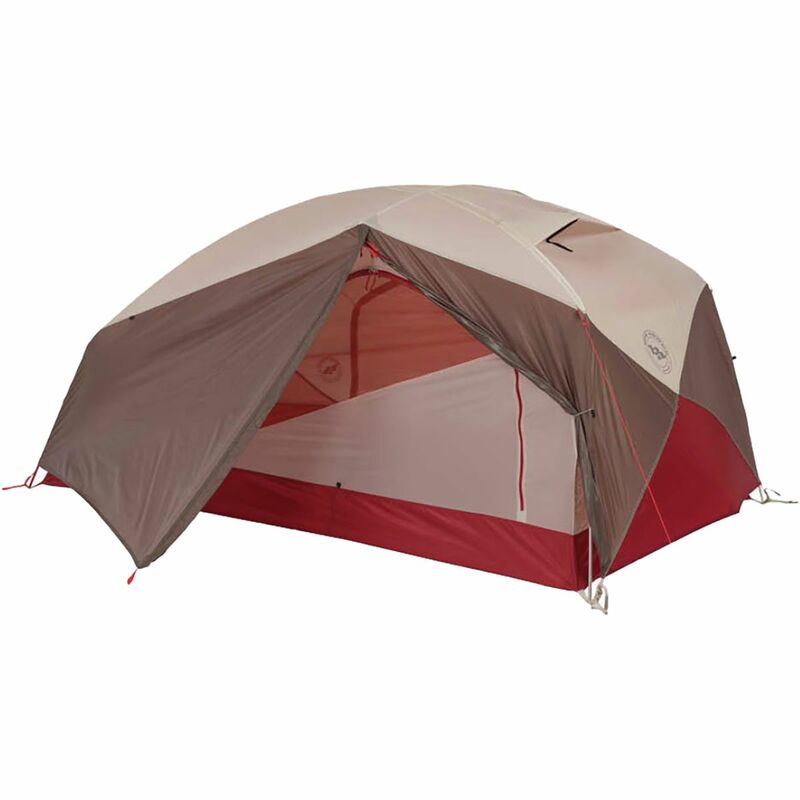 The tent is a free standing three pole design with fiberglass poles and two large doors which allow for easy entry into either room individually. The full coverage 75D 185T Polyester fly buckles on for extra strength and adjustability and will protect you from the elements, even under the nastiest conditions. The fly and floor seams are factory sealed to give you the best weather protection. 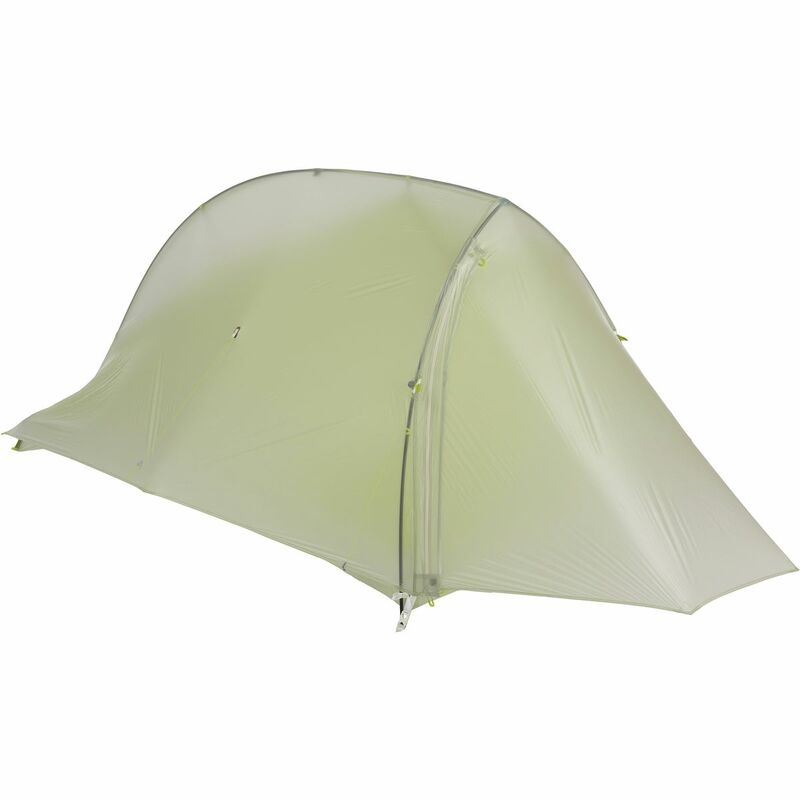 Included: Rain fly, Fiberglass Poles, Pole Bag, Stake Bag, Steel Stakes, Mesh Storage Pockets, Guy Ropes and Tent Bag. Browning Camping SKU: 5795011. The Camp Creek will provide a luxury home-away-from-home the next time you want to get away. Since it uses fiberglass poles that connect to steel uprights it provides ample interior space with almost straight walls to give you more usable space when you're inside. This is great whether you are setting up cots or just want more space inside to hang out and play a round of cards before bed. The rainfly provides large awnings over the front door and back window which is a great feature when it's raining. 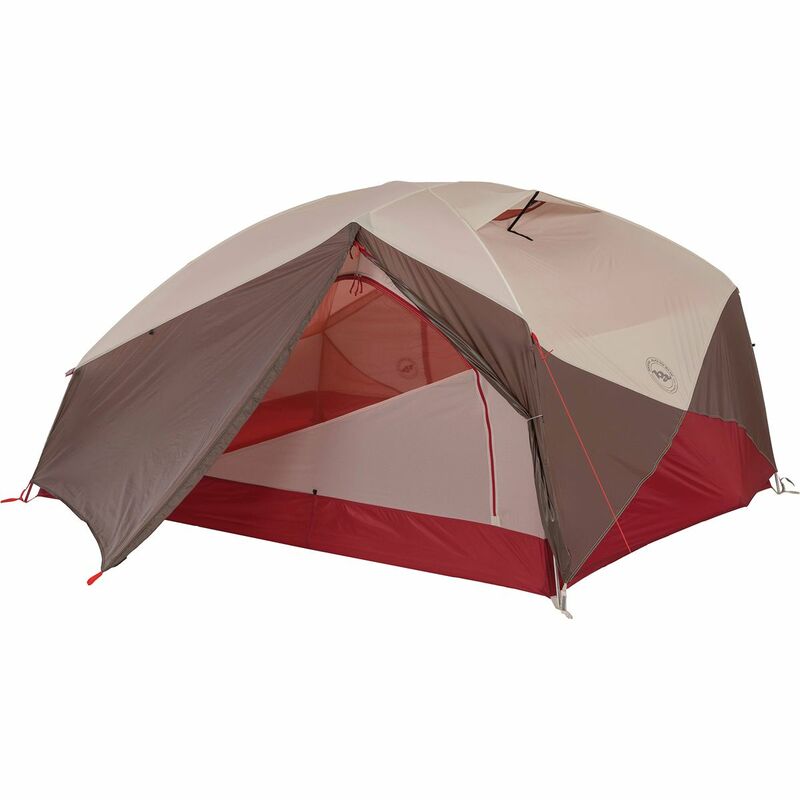 The Van Camp SL2 tent is a three-season tent built for the trail, campground, or festival circuit without sacrificing performance for versatility. The Van Camp is also easy to pitch by means of an intuitive color-coding system that you'll be able to set up in the rain, under the beams of a headlamp, or while Sparky is barking at local marmots.The steep walls provide plenty of headroom and increase usable floor space while minimizing the likelihood of you brushing water drops onto your sleeping bag. The Van Camp is also easy to get in and out of thanks to double doors, so you don't have to crawl over your tentmate when you need to pee in the middle of the night. And in the event of inclement weather, the rain fly features two vestibules with stormflap zippers, but on fairer nights, the colored mesh provides privacy and transparency for celestial stargazing. Whether you're hitting the trails with a group of friends for a backpacking trip, attending a festival, or going on a weekend escape to recharge your soul, the Van Camp SL3 Tent does it all. Its superlight, easy-to-pitch construction makes it a fantastic trail companion and the fully seam sealed, waterproof fly and floor keep you protected from surprise storms you may encounter. At under 6 pounds trail weight, the Van Camp is easy to bring a long on any adventure. At the end of a long day of hiking or dancing, color-coding simplifies tent pitching so you can get to catching your much needed sleep faster. With its lightweight design, the Van Camp doesn't skimp on space. The steep walls and pole architecture with a wide cross pole create a boxy, roomy interior that will fit you and two friends very comfortably. The interior is also equipped with 6 mesh pockets and media pockets above the sleeping area to keep your gear organized. Whatever gear doesn't fit inside can be placed in the two vestibules and still be protected from the elements when the fly is up. If the fly is down, the colored mesh of the tent still provides privacy from outside eyes but allows you to still be able to see the stars as you fall asleep. 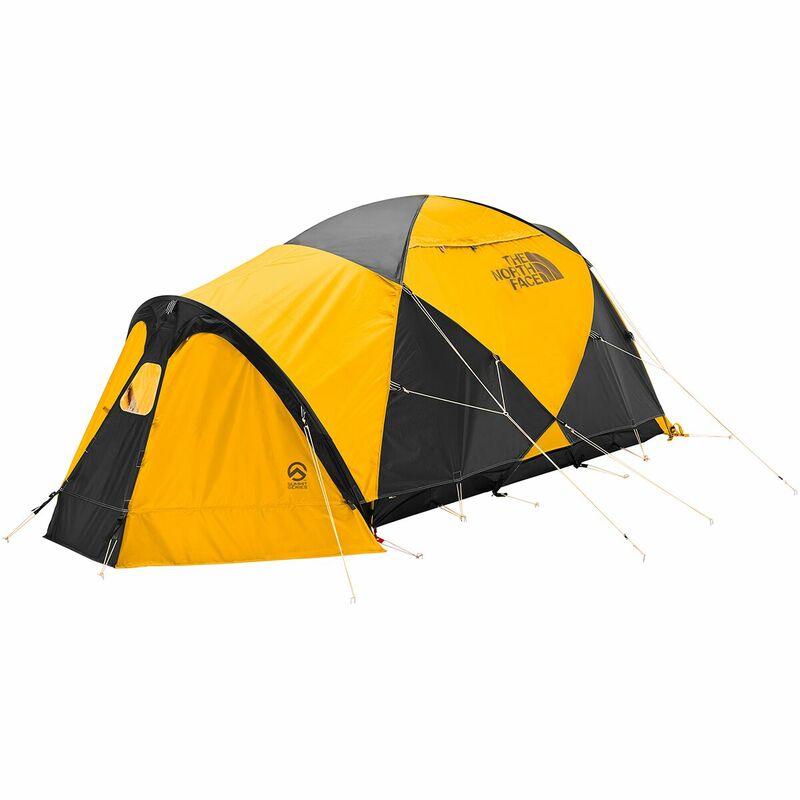 Designed to withstand surly winter storms, whipping winds, and downright bone-chilling temperatures, The North Face Mountain 25 Tent is a stout 2-Person 4-Season shelter ideal for everything from winter camping in the Rockies to glacier hunkering in the Chugach. Being the most compact tent in the Summit Series, the Mountain 25 is a great option for self-supported missions with a burly build but a highly manageable trail weight of just under nine pounds, so you don't need a plane or a helicopter to carry it for you.The Mountain 25 may not be the heaviest expedition-style shelter around, but it's built to withstand the kind of weather you'll inevitably encounter during winter in the mountains. The 40D nylon fly strikes a good balance between strength and weight, is treated with a PU/silicone coating, and has fully taped seams to repel sleet and snow, even when they don't stop for days on end. 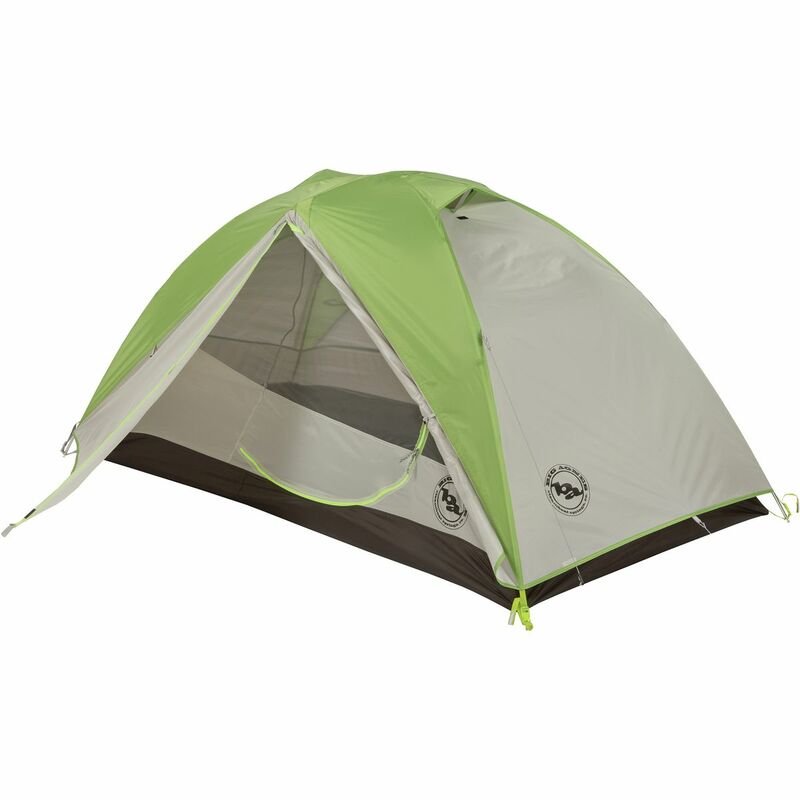 The untreated main canopy is equipped with dual doors and mesh vents, so you don't wake up to dewy mess halfway through the night. When the storm carries on longer than you thought possible, you can peek through the polyurethane port window and check on the conditions (hint: they're probably still bad). The North Face crack-tested the window down to -60F, so you won't have to worry about severe arctic temps wreaking havoc on it, although polar bears may still pose a threat. Inside the Mountain 25 are eight pockets to keep everything organized, so you don't lose your mind due to clutter during that three day storm, and multiple internal hanger loops to provide a spot to hang wet and smelly gear before you turn in for the night. 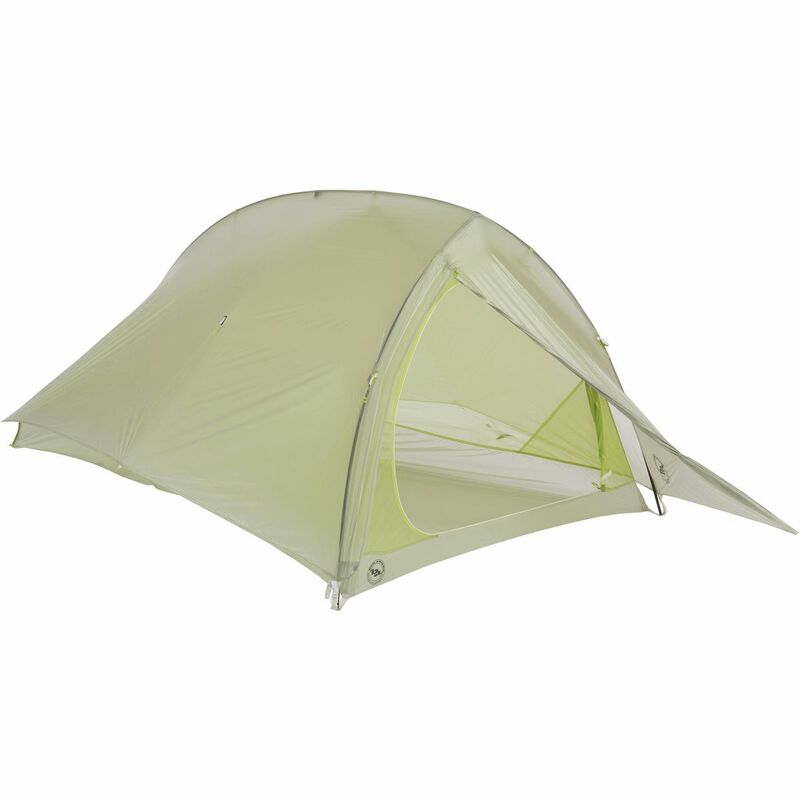 The Mountain Hardwear Optic Vue 3.5 Tent build on the Optic design but adds more options. Designed for backpackers and campers who appreciate extra square footage and open, airy architecture. The Optic Vue offers a new twist on traditional tents with full-size canopy and mesh doors on adjacent sides that zip away to create an open vista, but can be shut down for privacy or protection from the elements. Various tie-backs for the vestibule allow you to customize your view up to 180 degrees. With more space than a standard 2-person tent, the Optic 3.5 easily fits three of you plus whatever else you want to bring along. Closeout model. You can't spend a full week of music, dancing, and shenanigans in a normal tent. The Big Agnes Mint Saloon Tent sleeps eight campers and hosts a variety of parties from morning tea time to full-fledged extravaganzas. This floorless tent is large enough to double as an actual small saloon where folks can walk in, get a drink, and hang outside with other campers. 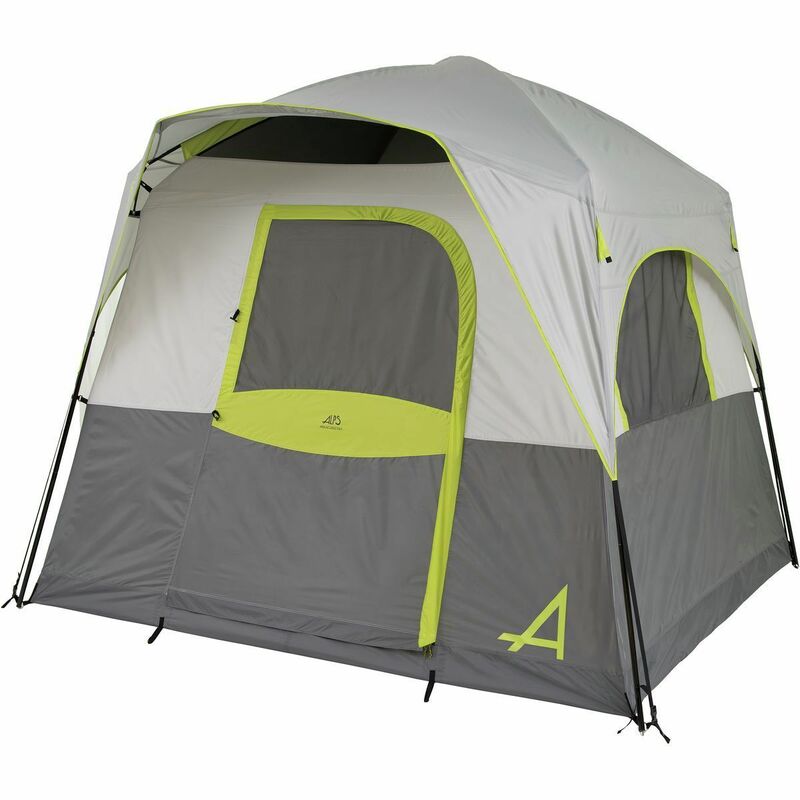 Its fully taped PU-coated fabric sheds moisture to keep your gear dry when the rain-or-shine event is more rain and less shine, and the peak vents work with the large windows to allow plenty of airflow in warmer temperatures. If you're getting good vibes from others at the festival, it'll be pretty easy to tell them where the spot to be is--just look for the yellow tent behind the aspens. When the trail's calling, there's no time to wait; so load up your pack, grab the Big Agnes Blacktail 2 Two-Person Three-Season Tent, and leave civilization behind. Just because you leave the comforts of home for the mountains doesn't mean you'll be roughing it, seeing as the Blacktail's a lightweight, tough, and waterproof shelter that'll have you and your partner livin' the high life. At just 4. 5 pounds, the Blacktail easily lets you enjoy the protection of PU-coated, seam-taped shelter, with two doors for easy access and dual vestibules for plenty of dry gear storage. You only need two lightweight aluminum poles, too, so pitching and packing are a breeze. Media pockets on the inside have cable routing so you can catch a few minutes of alone time when your partner's getting on your nerves, and the reflective guylines and webbing reduce the likelihood of accidentally tearing your tent down on your nighttime wanderings. If you're going to spend a few days exploring the places where the deer and the antelope play, bring the Big Agnes Blacktail 3 Three-Person Three-Season Tent along for some extra company. While it sleeps three people, the Blacktail weighs just six pounds fully packed, so it's not like carrying your little sister around in your pack (the Blacktail doesn't complain when it gets hungry, either). The Blacktail has plenty of features to make your backcountry nights a little more comfortable. 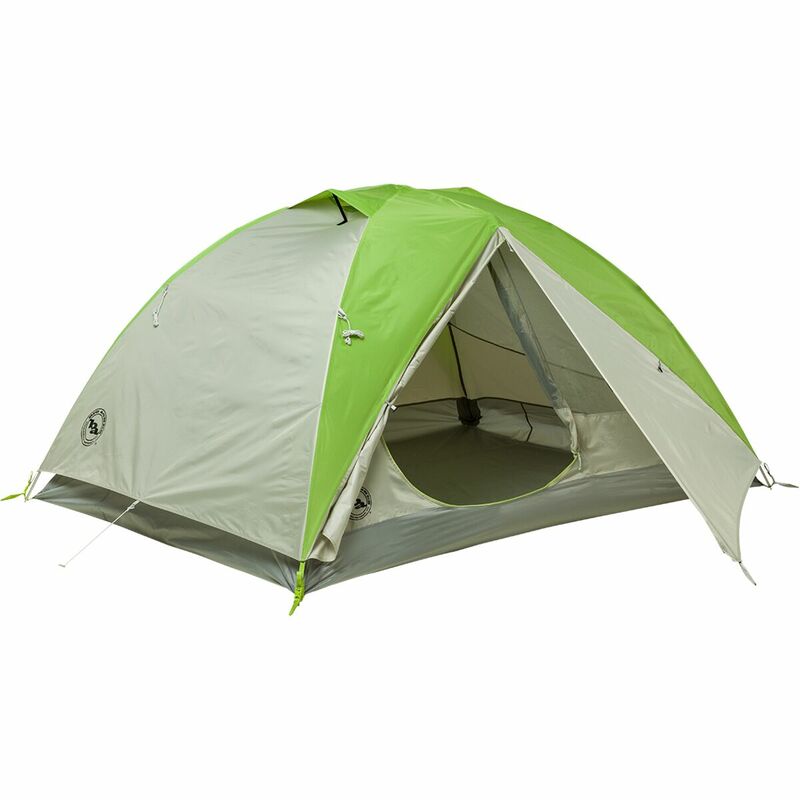 The polyester fabric of the fly and floor sports fully taped seams to keep out rain and sneaky moisture, the mesh walls allow for plenty of air to circulate on warm summer nights, and the dual doors and matching vestibules help you avoid trampling your tent mates and keep your boots and pack dry. 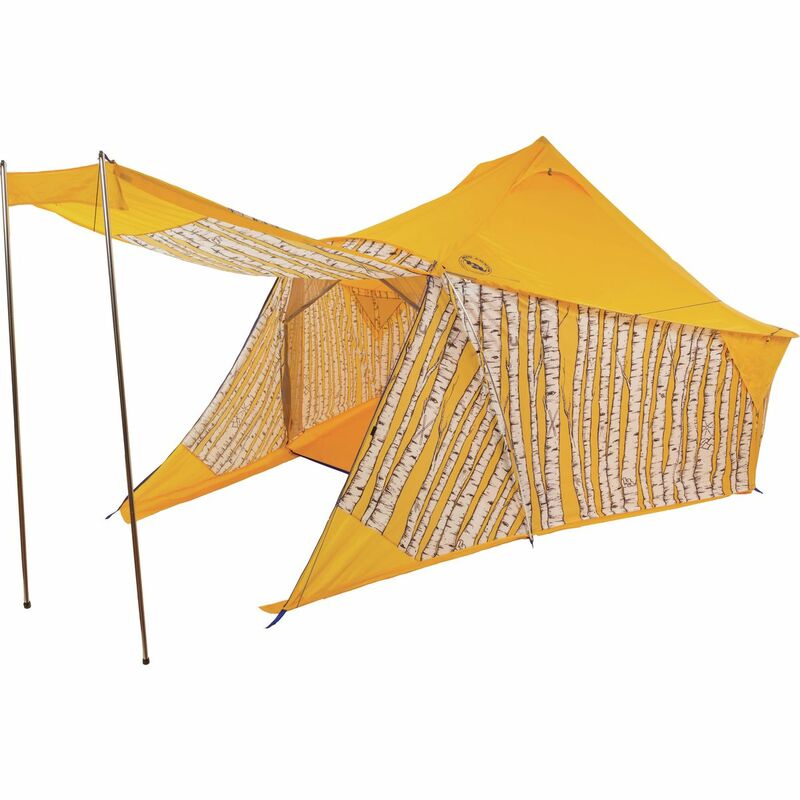 Big Agnes also included reflective guylines and webbing to prevent accidental nighttime Godzilla-style tent destruction and included media pockets with special cord ports to help you catch some peace and quiet during a down-day siesta.